When Kathleen’s mother Mary* was 88, the truth came tumbling out. She had become addicted to opioid painkillers and would have to detox in hospital. The octogenarian had been put on a repeat prescription of pethidine injections years earlier, to cope with painful flare-ups of pancreatitis. But somewhere along the way she had begun to use it daily, and became dependent on the drug. It took a three-week stay at Liverpool’s Fazakerley Hospital to get her off it. Kathleen says: “We knew something was up but it was hard to get her to admit what was happening. I think she had already realised herself she was dependent on it and was scared. Although shocking, Mary’s experience is not that unusual. The number of people being prescribed powerful and potentially addictive opioid painkillers – such as codeine, tramadol, morphine and fentanyl – has leapt over recent years, with some ending up dependent or in hospital after overdosing. In the US last week, it was reported that a fall in life expectancy for the second year running – the first such occasion in half a century – was driven by drug overdose mortality as a result of the American opioid crisis, which began in the late 1990s. But despite the UK having some of the highest levels of opiate painkiller use in the European Union and a wealth of anecdotal evidence from patients and clinicians, the subject of dependency is chronically under-researched. Estimates of people who may be addicted vary from tens of thousands to almost a million. Opioid prescriptions rose from 12 million in 2006 to 24 million in 2016. Meanwhile, the number of patients admitted to hospital for overdosing has more than doubled in a decade, with experts saying it is the consequence of the drugs being over-prescribed. NHS data shows that 11,660 patients were treated for prescription opioid poisoning last year – up from 4,891 in 2005-06. What the figures cannot show is how many cases involved patients’ own medication, and how many resulted from the drugs being taken by other people. Despite the potential harms of opioids, no monitoring is required for patients on repeat prescriptions. If problems do arise, there is no network of specialist addiction services to which doctors can refer. The fact that drug policy tends to prioritise social harm over health means these patients are slipping through the cracks. Policy analyst Harry Shapiro, of Drugwise, says: “This issue is hidden in plain sight – every GP surgery in the country will be affected, I’m sure. and more people living with pain. General practice is under strain – with short appointment times and high expectations from patients, many of whom want to leave with a prescription. Experts say opioids are being used inappropriately in many cases. While these drugs are highly effective when it comes to acute pain – following surgery, trauma or towards the end of life – the evidence for long-term use is scant. Yet much of the increase in prescribing has been for chronic conditions such as back or nerve pain, according to Dr Roger Knaggs, of the Royal Pharmaceutical Society and British Pain Society – despite the fact the risks outweigh their benefits. “I think marketing has certainly played a role in this shift,” he says. “In the past – maybe around 10 years ago – there were several manufacturers who were marketing these drugs to GPs, saying that pain clinics were prescribing them so why not use them too? Doctors want to help patients but we now realise these drugs cause more harm than good. 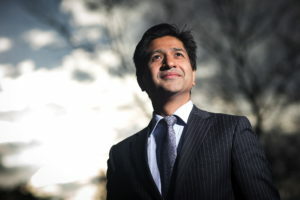 Consultant psychiatrist Dr Yasir Abbasi, clinical director for addiction services at Mersey Care NHS Trust, says that while levels of opioid painkiller dependency appear to be rising, professionals are hampered by a lack of funding. He divides the patients his team sees into several groups: those with a history of street drugs who buy opioids illicitly; those who follow their prescription but cannot stop; and others who supplement their prescription by buying over the counter or online. When people abuse over-the-counter opioids such as codeine they are inadvertently taking other risks. While the codeine level within them is comparatively low, they also contain paracetamol or ibroprufen – which cause liver problems or stomach ulcers or could even prove fatal. Abbasi has seen patients who have been using up to four different opioids at a time. Treatment involves first getting the person onto one strong opiate and slowly reducing the level. He says mainstream addiction services are not geared towards people whose underlying medical problems require specialist management. There are however almost no commissioned services for painkiller dependency. Although users are not excluded from mainstream drug services, stigma means they are unlikely to attend clinics predominantly aimed at heroin and crack addicts. Even if they did, drug workers are more experienced in the issues related to illicit use. Abbasi says: “Ideally we’d like to increase awareness about the issue of painkiller dependency within health services and we’d like to do outreach within GP surgeries for those with straightforward cases. One of the country’s only specialised services for opioid addiction is in Bradford, at the Bridge Project. Its team works directly with GP surgeries to identify patients on their lists who have used the drugs for long periods of time. They then develop programmes of detox and psychological support to help surgeries wean them off. Holding appointments at the practice helps reduce the stigma for those affected. The project sees several hundred patients a year – a figure only limited by staffing levels. But the service is under constant threat. Since 2013, all substance misuse services have been commissioned by public health – with money from council coffers, which are not ring-fenced – and illicit users are higher priority due to the crime they commit and the risk of infections such as HIV through unsafe injection practices. Chief executive Jon Royle has found those who are dependent on opioid painkillers have much better outcomes than those engaged with illicit drug use. “The vast majority had no idea what they were getting into and are quite horrified to realise they have become dependent,” he says. “All they’ve done is take drugs prescribed by their doctor and they have developed horrendous problems as a result. The withdrawal process from certain opioids – which are manufactured rather than extracted from the poppy plant – can actually be harder than heroin because certain painkillers are longer-acting and patients may have been taking them for many years, he adds. Despite the problems with treatment, there is a growing move to reverse the rise in the levels of prescribing. Two recent sets of guidelines, one published by the BMA and the other funded by Public Health England, state there is little evidence that opioids are useful for long-term pain. The British Medical Association wants government to set up a select committee enquiry into prescribed drug dependence. And the National Institute for Health and Clinical Excellence will publish guidance on persistent pain in 2020. Prescription drug dependency is among the issues it will cover. The All-Party Parliamentary Group (APPG) on Prescribed Medicine Dependency wants to set up a national helpline for people living with this problem, which could help reveal the extent of the issue in a way that commissioners could understand. Meanwhile, the Royal College of GPs lead for pain is pushing to introduce annual reviews of patients on opioid prescriptions and has the backing of the APPG. Martin Johnson, who spent 30 years working as a GP in Yorkshire, says: “I know the kneejerk reaction for some would be to say GPs need educating, but it’s more complex than that. We don’t have the facts and figures about dependency but we do know the size of the pain problem and it’s huge. “I’m leading on this push for greater monitoring but there’s no funding at all for it. I would like a bare minimum standard in the regulations where everyone on an opioid prescription gets one mandatory check once a year. “I suffer from pancreatitis and was prescribed pethidine injections around 20 years ago to take when I had a flare-up. When my husband was still alive he controlled it, and then after he died one of my daughters did my injections. But then I started doing it myself and I was taking it every evening and sometimes during the day. I kept feeling pains so took the pethidine but now I know the pain was actually withdrawal from the drug. This went on for a few years and one day I went to my GP to say I was still feeling a lot of pain. And she doubled the dose, just like that. I went home and thought about it, and decided I couldn’t take that much because I’d be such a mess I wouldn’t be able to leave the house. I went back to the GP the next day and said I wanted to come off this stuff. She arranged for me to go into Fazakerley Hospital and I was there four weeks in total – three weeks to wean me off the drug, and an extra week because I got an abscess while I was in there. “I suffer from hip dysplasia – a painful condition where the hip bones rub together. One day when I was really upset about the pain I went to see the GP and he prescribed me codeine, on a repeat prescription. The only side-effect I was warned about was constipation – no one mentioned dependency. I was told to take a tablet four times a day and as my tolerance grew I started supplementing my prescription by buying it online, until I was taking 50 tablets a day. I didn’t bother with the over-the-counter codeine as the dose is so low. This went on for about a year and a half and it was costing me hundreds of pounds each month. In all I was using codeine for about four years. Within a few months of it being prescibed I knew I couldn’t do without it but the withdrawal began affecting me really badly after about two years. My partner knew something was up from quite early on but I was telling lies and denying how much I was taking. But the tablets only last a few hours and he could see I was going into withdrawal. Every morning I was in withdrawal and couldn’t do anything – I struggled to take the kids to school. The final straw was Christmas 2015, when I didn’t have enough codeine to see me through. On Christmas Day I couldn’t cook, play with the kids or do anything. My mum put her foot down and dragged me to the treatment centre as soon as it opened after the holiday. I don’t know what would have happened to me if she hadn’t done that. I started my current medication [buprenorphone, brand name Subutex] two years ago and am now being weaned down, which has taken longer than I expected. To start with I had to take it in front of the pharmacist every day, which was embarrassing. Once they started drug testing me I could move to weekly pick-ups. I know people see you in the pharmacy and make assumptions about your situation but quite a few heroin addicts I have met at the rehab centre say their habits began through abusing painkillers. I’ve been left with PTSD by the whole episode and am in the process of being diagnosed with bipolar disorder, which my psychiatrist thinks may be related to opioid use. Recovery has been a long process and it has taken a long time to get the appointments I need.